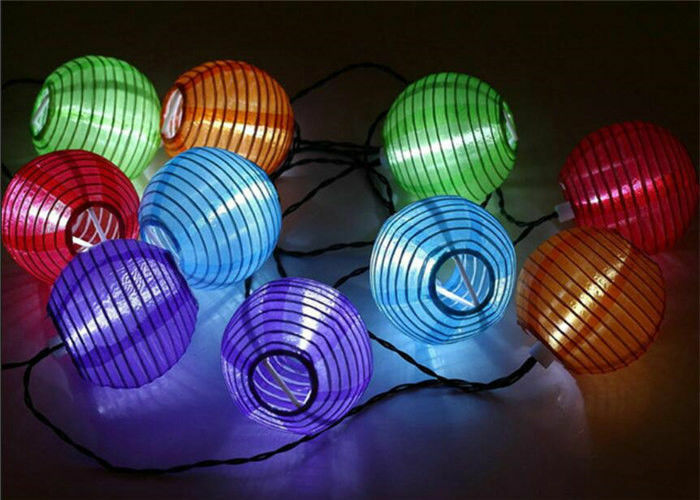 The Solar Chinese Lantern String Lights are ideal for decorating shrubs, umbrellas, doorways, pergolas, trees, and any standing structure. 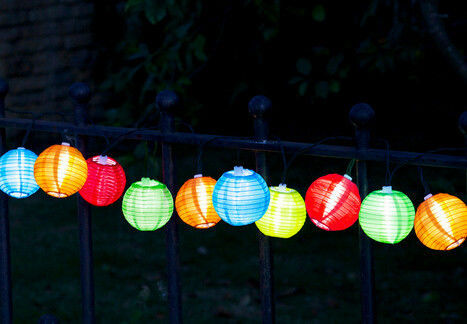 The weather-resistant nylon lanterns are powered by a solar panel. Simply place the solar panel in direct sunlight and the lights automatically illuminate during darkness. When fully charged, they will last up to 8 hours.